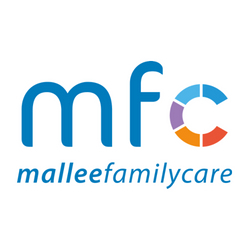 Leading a team of Child and Family Workers and work in collaboration with all Family Services staff in providing the highest quality services to meet the needs of children in their families and Home Based Care. Delivering a range of Child and Family Services programs and initiatives within the Victorian and DHHS legislative, policy and practice context as outlined in key reforms such as the ‘Roadmap for Reform, strong families, safe children’ and ‘Ending Family Violence’ and the Children, Youth and Families Act, 2005. Encouraging children, families and carers to enhance their social networks and connectedness with their community and culture. Providing quality child centred, family focused services and liaise with staff at all levels whilst maintaining professionalism, integrity and confidentiality. A person employed at this level will be expected to display a demonstrated ability to provide leadership and direction to other staff members within the program/service. The employee will be required to hold an accredited qualification relevant to the position at Degree Level or above in an appropriate area of discipline (eg Social Work, Community Services, Youth Work etc) and have a passion and commitment for supporting children and families across the child and family support/child protection continuum. A current drivers licence, a willingness to travel and preparedness to be accommodated overnight when required. Please quote in application: Team Leader Child and Family Services via Pro Bono Australia.